FIMO, the worldwide renowned oven-hardening modelling clay, enables artists to shape their ideas, form exceptional works of art and let their imagination run free. 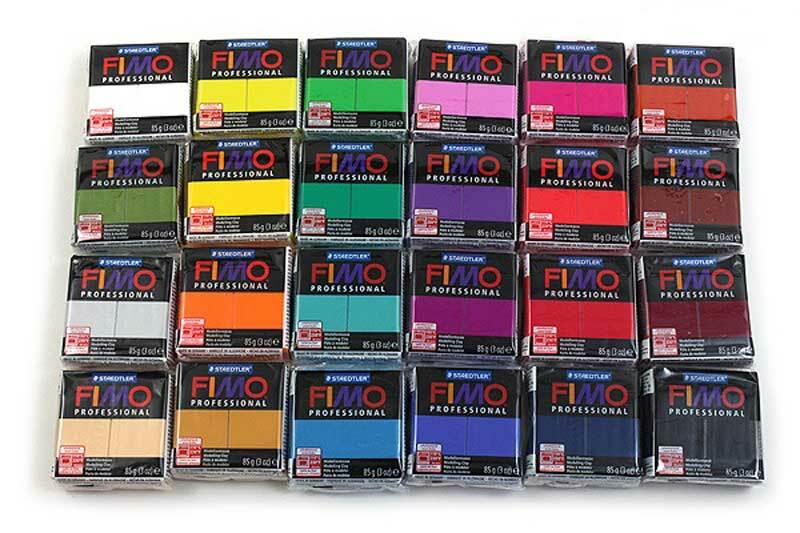 As from 2014, FIMO classic modelling clay is available from specialist stores under the new name FIMO professional. Anyone wanting to create unique works of art requires the right material. This is why STAEDTLER has enhanced and optimised its popular FIMO classic modelling clay and relaunched it under the name FIMO professional. Its exceptional dimensional stability and outstanding conditioning properties make FIMO professional ideal for satisfying the high demands of artists. The modelling clay colours have been refined to perfection too. Comes in a variety of colors. Each sold separately. Conforms to ASTM D 4236. Imported. Most packages contain 2oz of polymer clay. Black and White are also available in large, 350g blocks.